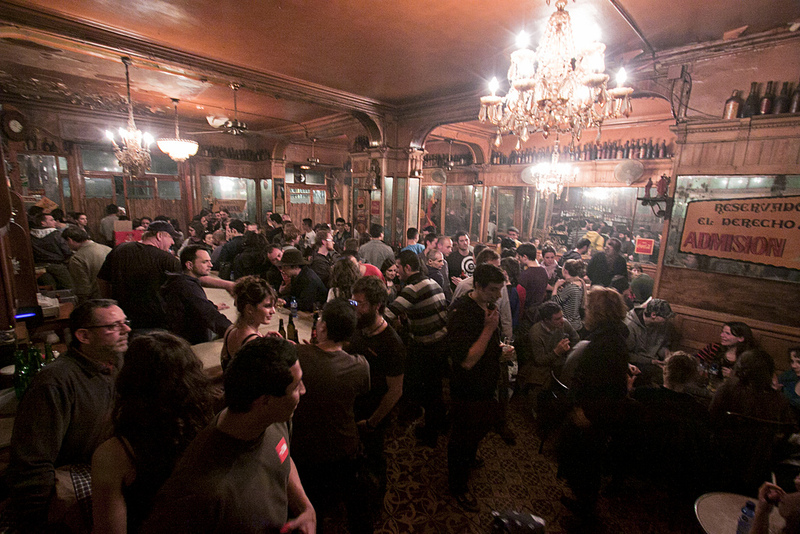 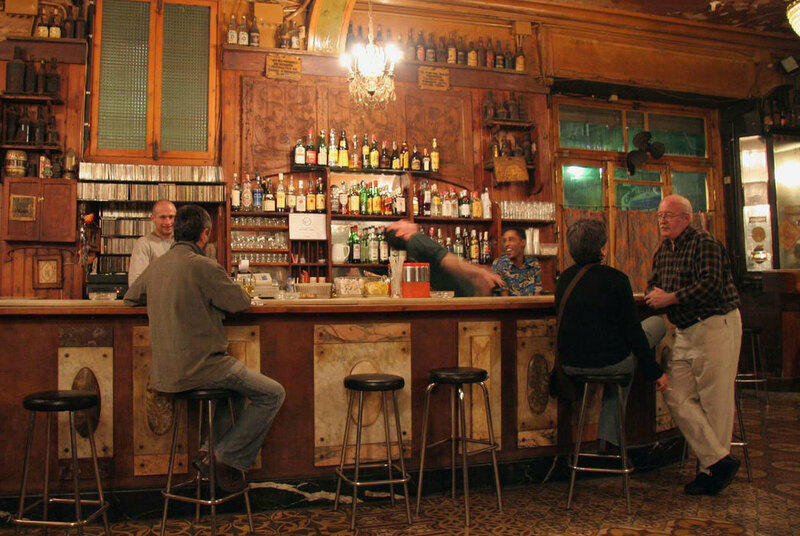 One of the most anturazhnye Barcelona bars, opened in 1820 in upper Raval, It called Marsella. 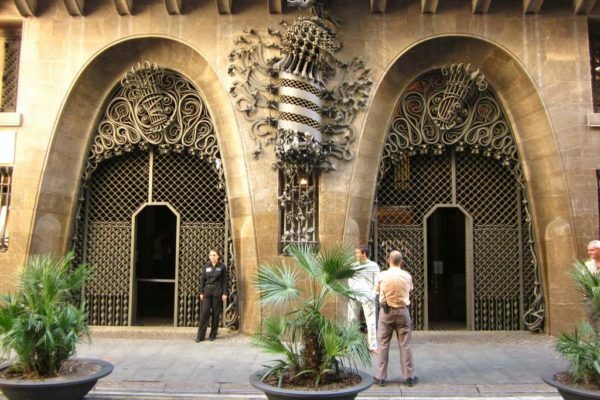 Here we loved to drop in on absinthe Salvador Dali, Pablo Picasso and Federico García Lorca. 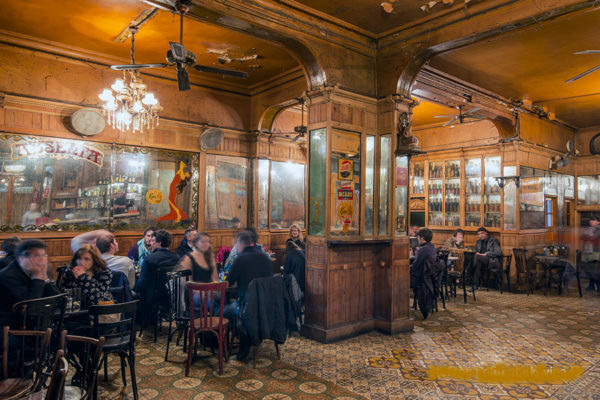 Marble round tables, antique mirrors, walls, covered with yellow coating due to tobacco smoke, dusty bottles, the dim light of the chandeliers of the Victorian era - all Marseille, one of the oldest bars in Barcelona, where night revelers come to drink absinthe. 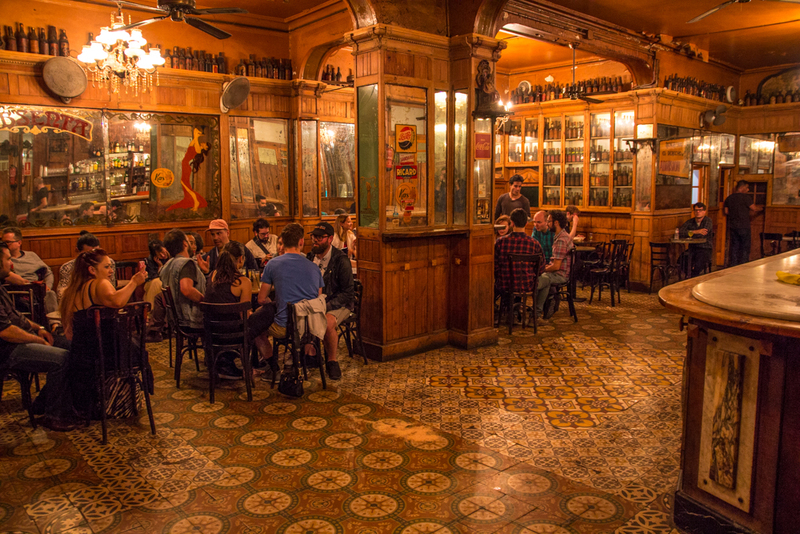 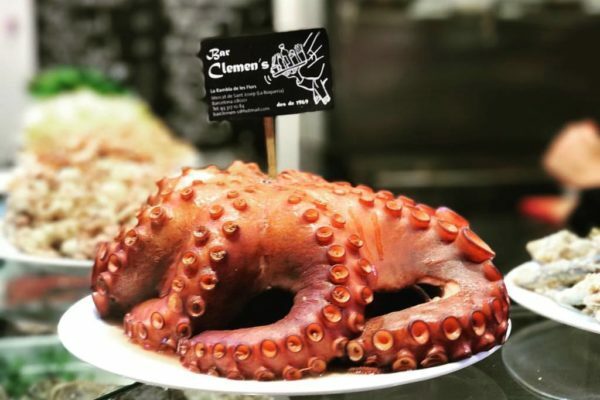 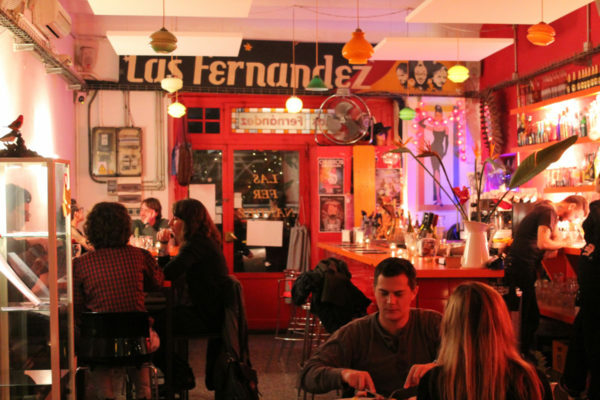 Every night, the legendary restaurant is filled with the most colorful public: students from around the world, tourists, representatives of Barcelona's bohemian and adventurers. 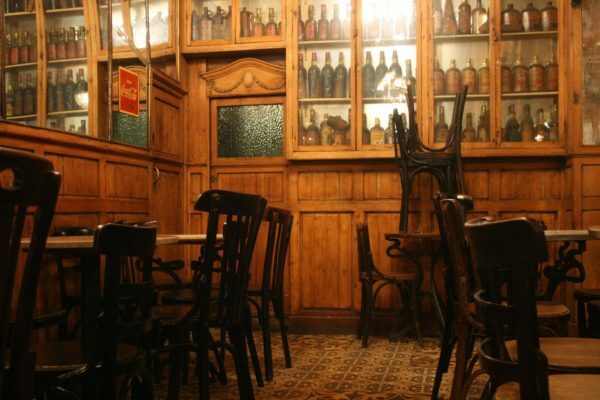 If this institution walls could talk, they would have told us a lot of amazing stories, that happened here nearly 200 years. 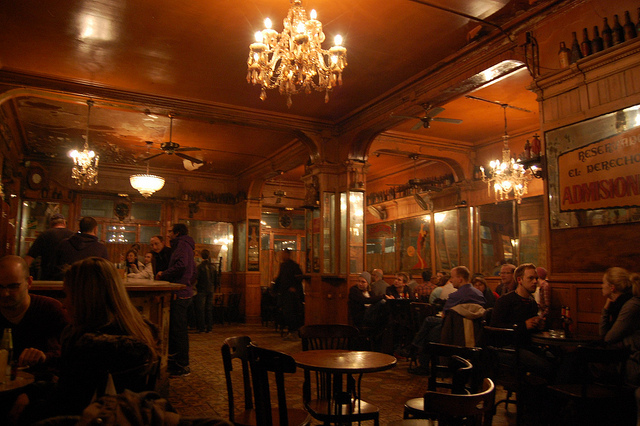 The intoxicating charm of the green spirit, which inspired a whole generation of artists and writers, still hovering in the Chamber Hall of the bar, which never plays music and talks rumble fills the space. 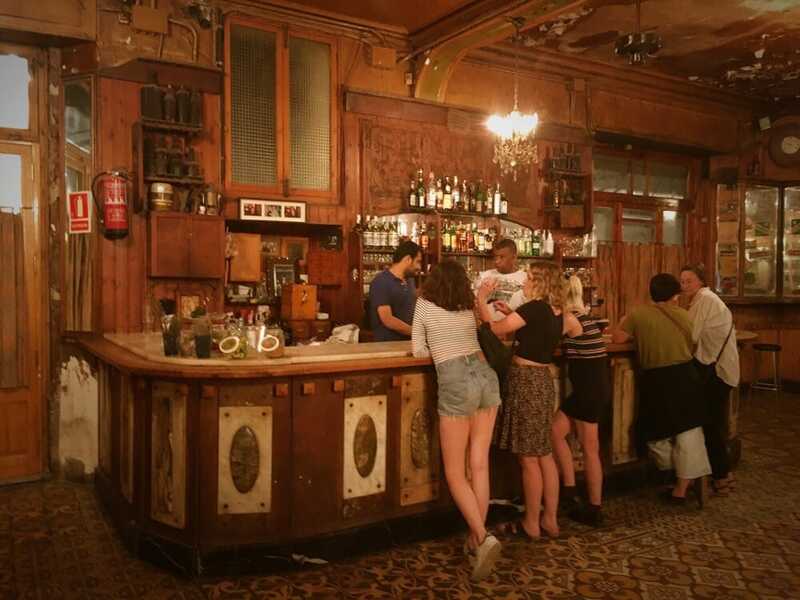 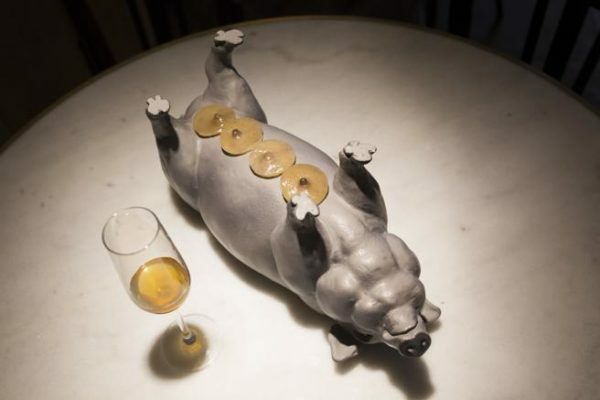 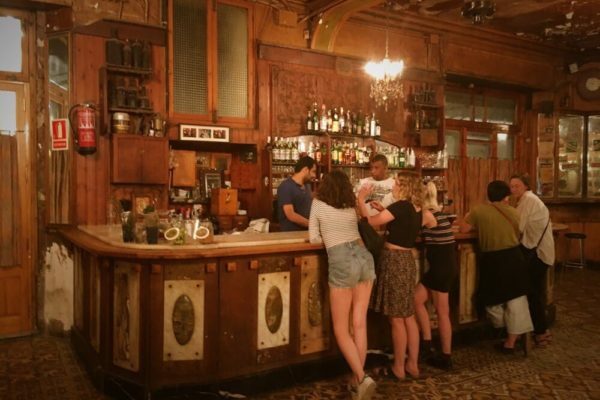 Bar Marsella has strengthened its status of cult places and become obligatory point of any tourist guide, after Woody Allen shot a scene here the film "Vicky Cristina Barcelona". 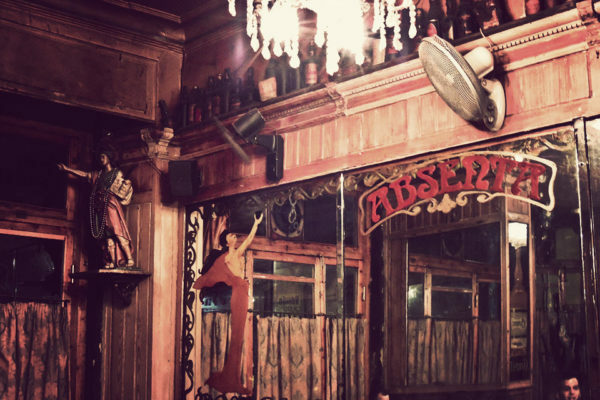 Specialized institutions - Absinthe, hard to believe, that many visitors to the bar and really like the sharp taste and aroma, although its preparation ritual is very fascinating. 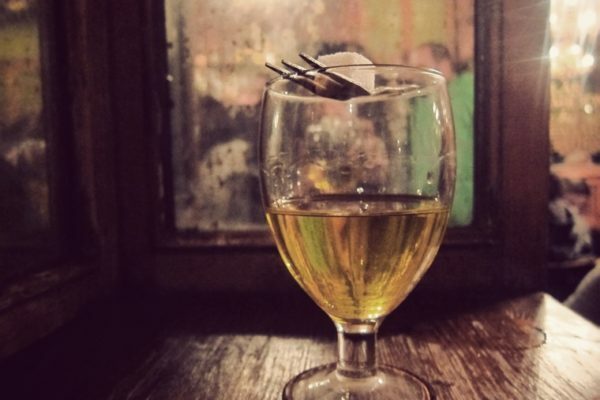 Абсент называют "the green fairy", which translates from French as "the green fairy". 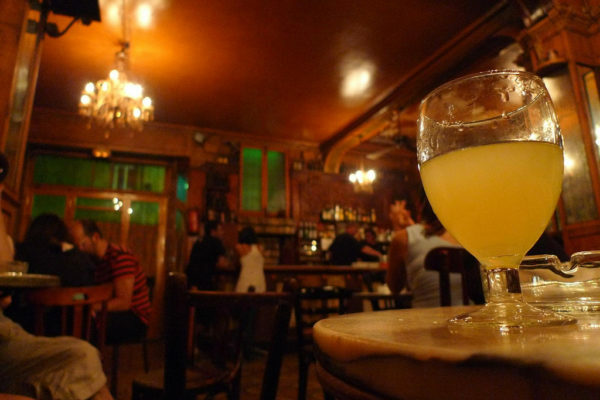 This characteristic of absinthe, a drink, having a hallucinogenic effect, and made it popular among artists 19 century. 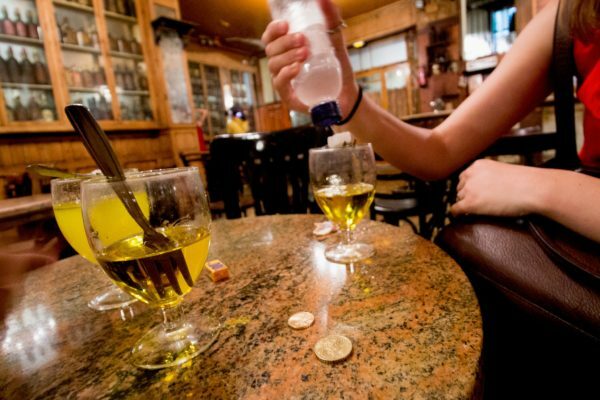 Currently absinthe banned in many countries around the world. 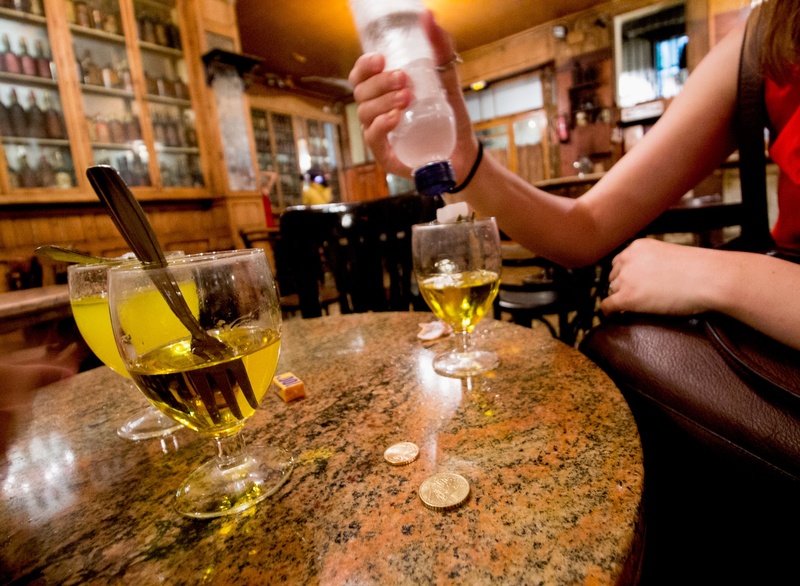 absinthe + sugar + a bottle of water for the preparation of cost 5 €. 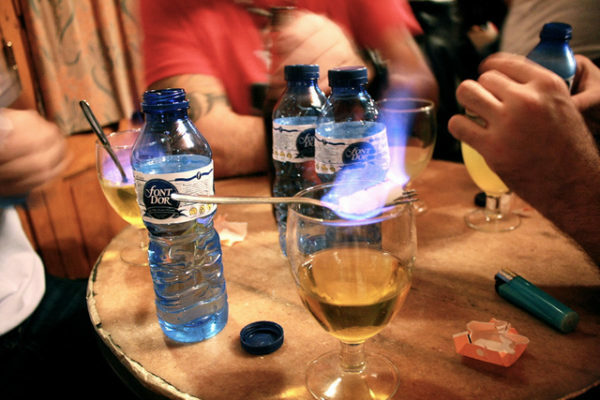 If you are brave you drank more than two glasses of this potion, Be extremely careful on the exit of the places and watch your things - this part of town is not the safest in Barcelona. In the morning, after a visit to Marseille is very vague memories, ask friends to tell, what ended the night. 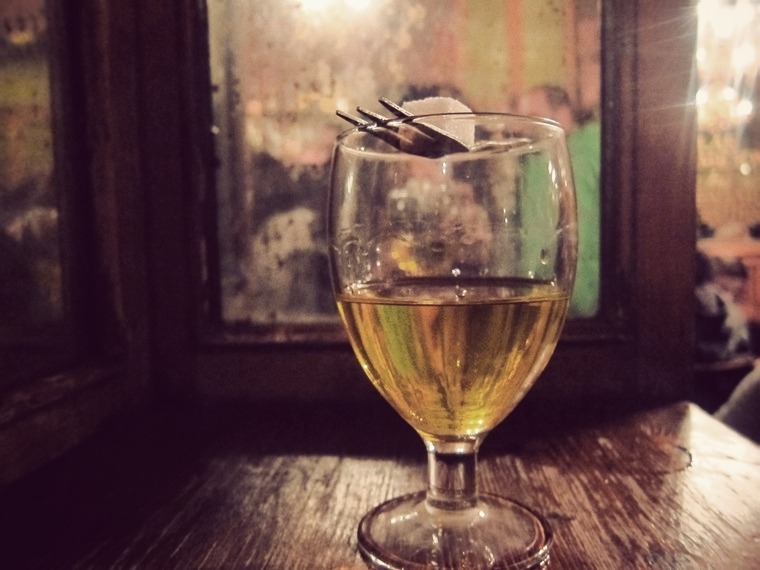 Did you have time to make friends with a bunch of new people or even fall in love, because the magic of absinthe brings people together no joke. 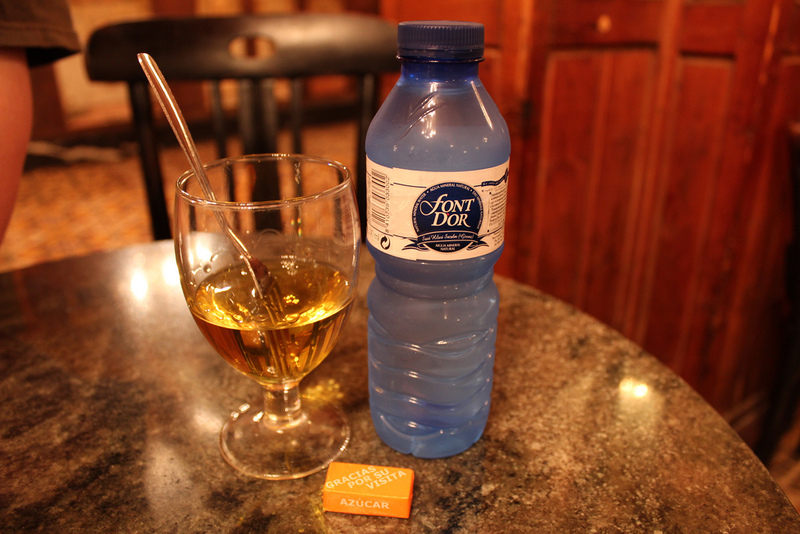 Every day from 18-00 to 2 a.m..